From the way it’s designed, the Gestetner 3222 doesn’t look like much of an upgrade from its predecessor, the Gestetner 3220. But looks can certainly be deceiving as this Gestetner 3222 packs a lot more punch than what the Gestetner 3220 can give, or for that matter, even some multifunction printers in it class. With the retention of its predecessor’s nice features and improving on some important functions, the Gestetner 3222 can be considered a ‘steal’ in today’s printer market. The Gestetner 3222 has its printer speed at a competitive rate of 22 pages per minute, comparable to most multifunction printers out in the market. It carries a maximum of 600 dots per inch (dpi) resolution the standard of which is at 300 dpi, with a 16MB standard memory that can be expanded to a maximum of 80MB. The Gestetner 3222 also carries a wide array of available fonts with 35 Adobe, 10 TrueType and 35 Intellifonts. 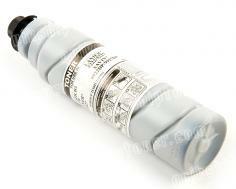 It also supports 136 PostScript and comes in with a switchable PCL6 and optional PS3. It also features network connectivity with its EtherTalk, TCP/IP, IPX/SPX and NetBEUI protocols. For operating system support, the Gestetner 3222 is compatible with Windows 3.1 to 98, NT 4.0 and from Mac OS 7.1 up. The duplex function is also available, which is certainly a great addition to the Gestetner 3222 being a multifunction printer. The duplex feature supports printing up to 11 x 17 inches. Other options such as proof print, overlays and watermarks are also included. But the big addition is Gestetner 3222’s 1.6GB hard disk, which enables users to store a huge amount of information for printing and other purposes. The copying function of the Gestetner 3222 is digitally configured and uses dry electrostatic transfer, which allows the machine not only to save on toner but also to produce quality copies. The copier memory uses its own independent memory which is a standard 20MB, upgradable to 68MB. Resolution is set at 600 dpi, with gray scale levels at 256. Speed is at 22 pages per minute, with a first copy time of 4.9 seconds. Built as a high volume copy machine, the Gestetner 3222 packs a robust paper tray capacity, starting with two 500-sheet trays. An optional paper tray of 2,000-sheet LCT or two 500 paper bank is also included. Output tray capacity is at 500-sheet capacity. 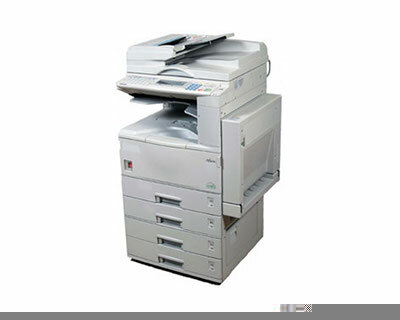 Scan and fax functions also have adequate features that should satisfy basic to moderate office needs in such areas. Scanning speed is at 23 scans per minute for a letter size paper with a 600 dpi, with options for duplex scanning, scan to file and halftone scanning. Modem speed for faxing is 33.6 Kbps that yields a speed of 3 seconds per page. It also has a scanning feature with a speed of 0.81 second. Page memory is at a standard 2MB, while its autodial features 56 quick, 100 speed and 9 groups. The fax module also allows for multiple features such as dual access, image rotation, and book transmission among others. Though loaded with numerous features, the Gestetner 3222 isn’t a multifunction printer without its faults. One is the machine’s resolution for all function, which is only at a maximum of 600 dpi, clearly lower than what most multifunction printers have, with some reaching up to 1200 dpi. Another is Gestetner 3222’s bulk, which certainly does not make it appealing to offices with limited space. Though it may be understandable that its size is attributed to its high volume capability, there should have been adjustments made to somehow make Gestetner 3222 a bit more compact, which would certainly raise its marketability and widen its niche among consumers. 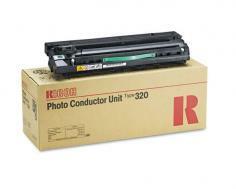 Review it: "Gestetner 3222 "
Having such a high paper tray capacity, it is not surprising that its toner cartridge comes in with an 11,000 page capacity on a 5% yield. Drum unit is at 60,000 page capacity, which is also larger than what most multifunction printers have. These come also as an upgrade to its predecessor, the Gestetner 3220, making the Gestetner 3222 more robust and reliable for a more cost-saving office production.